A lot of Nigerians have called me to request that I condemn Rivers State Governor Nyesom Wike’s charge that the Ogoni clean-up is a political project, and I said no I would not condemn the governor for saying what he said. I will rather thank him. He is doing what the opposition should do in a democracy. 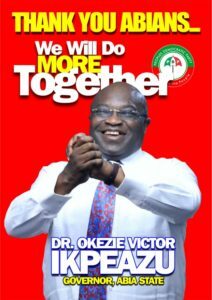 The governor is a member of the opposition People’s Democratic Part (PDP). Like I said to the governor when we exchanged pleasantries after his remarks, “if it is a political project then you have fired the first shot”. The ruling All Progressives Congress to which I, and President Muhammadu Buhari, the true facilitator and greatest advocate for the clean up of Ogoniland both belong should fire our own shot and it needs not be in throwing tantrums over the governor’s statement. Governor Wike is right to say that the Ogoni clean-up is a political project because it is a star project of the federal government and one to which the President has staked his hard-earned reputation. If the project does not go well it will be a hot topic for the PDP in the 2019 general elections, just the same way the inexcusable failure of President Jonathan to implement the report was a glaring political blunder, which we the APC capitalised on in 2015. I led the APC campaign personally into every community in Ogoniland and our slogan was APC!!! “ One Billion Dollars” and the enthusiastic response was always “One Billion Dollars” APC!!! In response to our campaign, President Buhari did something unprecedented in the history of Nigerian politics when he not only took personal ownership of the Ogoni clean-up, but also has kept it on the front burner by showing uncommon commitment and passion for the program just as he has done for the war against corruption. It was the fire and passion with which the President pursued the Ogoni clean-up project that led to the total defeat of the PDP in the Rivers South-East Senatorial District. Every week, something was happening to bring the project one step closer to reality. Governor Wike’s statement stems from the fact that he believes that those steps were being taken at that time because of the rerun elections to enable the APC capture the minds of the people, which we did. However, while we as APC intend to and indeed will reap political capital out of the president’s unprecedented love and commitment to the clean-up of the Niger Delta, for President Buhari it clearly goes beyond politics. The President and Vice President Yemi Osinbajo have to my knowledge mentioned the clean-up of Ogoniland whenever they have discussed the strides of the administration or the issues of the Niger Delta. The President has even taken the issue beyond the shores of Nigeria, He mentioned it during his visit to east Africa; he mentioned it while in the United States and even recently during the presentation of the 2018 budget proposals before a joint session of the National Assembly. It is clear that his passion and commitment to the issue is real. This is the only agency in the life of this administration which President Buhari physically inaugurated the board of trustees and the governing council by himself in the Presidential villa. The President did not personally inaugurate even the board of NDDC. Indeed, the President has made the clean-up of Ogoni land central to the heart of his government. That is why the opposition has also cleverly picked it up as a central point. The performance of the government on the clean-up will definitely be an issue in the 2019 elections. 1) Unprecedented and laudable progress has been made in bringing the clean-up of Ogoniland to reality. 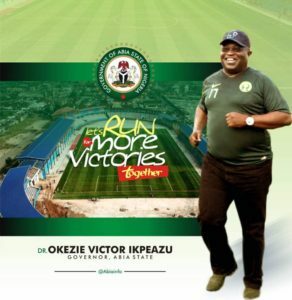 2) The PDP government in which Governor Wike served as the minister representing Rivers State received the report, and as Nigerians would say, sat on it and did nothing until Buhari became President and picked up interest in this matter. Without Buhari Ogoni clean-up had gone into voice mail. 3) Since Amina Mohammed left the scene as Minister of Environment, there has been a glaring disconnect between the President’s passion and vision and what is now going on around the project. The Ogoni people and indeed Nigerians understand that the clean- up itself will take twenty five to thirty years. That is clearly stated in the report so no one expects the government to archive the impossible. However, there are quick wins, which can be implemented immediately that will translate Mr President’s passion into substance, create great impact in the local communities and also silence the opposition for good. 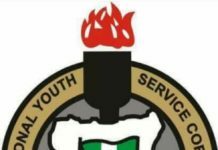 a) HYPREP, the agency charged with the implementation of the President’s vision of the clean-up is squatting in four rooms provided at the back of the NOSDRA office in Trans-Amadi Port Harcourt. Some members of the staff of HYPREP are still hanging in the corridors of NOSDRA. There is currently no reasonable accommodation for HYPREP even though approval has now been given for HYPREP to acquire and operate from its own premises. b) There is currently no activity going on in the area remotely traceable to President Buhari’s clean up programme for Ogoniland, all we were shown were Demonstration sites operated by private companies to showcase their technology. c) The UNEP report made heavy weather of the contaminated water, and lack of clean drinking water, high levels of benzene and carcinogenic materials in the drinking water in the area and recommended the immediate provision of clean water. As we speak HYPREP is still proposing a study of the water sources and facilities in Ogoniland. d) The UNEP report talks about a programme to conduct a medical outreach to assess the impact of Hydrocarbon pollution on the health of the communities. Everyday that this remains undone lives will continue to be lost. This is clearly unacceptable. e) The UNEP report talks of training and creating alternative livelihoods in the local communities; there is no report of progress on this score and no action has been taken to improve the live of any human being in Ogoniland. f) The UNEP report talks of commitment to an expenditure of 200 million Dollars a year for an initial period of five years. So far only 270 million naira has been released to HYPREP, which is less than 0.0001% of 200 million Dollars, which should have been spent this year. g) The report talks of a Centre of Excellence that will drive research in the study of the environment and provide a reference point on environment, agriculture and sustainable livelihood issues beyond Africa. This can be purpose-built as a University of Environment, Science and Agriculture, to enable the centre achieve and sustain its mandate. No action has been taken on this project. h) As I mentioned in the course of our interaction with the HYPREP management, in the recent tendering process carried out by the agency, local companies were unfairly excluded. They must be given a fair chance to participate in and at all levels of the clean-up process. While there are institutional and procedural obstacles that militate against speedy implementation of government programs, the drivers of this particular program must look for creative ways to overcome these challenges and justify the president’s optimism and confidence. Challenges were also there in the days of Amina Mohammed and even those who did not agree with her agreed that she made things happen. We need to find that pace once more to move the project at its intended presidential speed. Finally, on Rivers politics so much noise has been made about my interactions with Governor Wike at social and official engagements where we met recently. Ordinarily, I would not have responded to cheap talk, but some of those comments are coming from and have been made at very high levels of our party the APC to create the impression that I and those friendly to me in the party in Rivers state are on our way out of the All Progressives Congress. I will make just three comments on this. I have always strived to maintain my relationship with people irrespective of our political differences and I will continue to do so. I contested a well-fought electoral contest for my seat in the State House of Assembly against Mr Nomkia Bright in 1999, that contest went into a rerun, I got to know him in the course of that election and he has remained a friend ever since even when we do not agree politically. He still visits me till date. 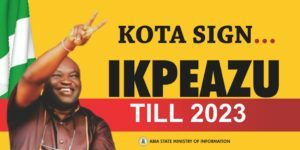 I contested a very bitter and sometimes acrimonious election against Chief Dr Normate Kpea in 2011. After the election I invited him to my house and we ate and broke bread together. When he had a ceremony after the elections before leaving for the United States, I participated by sending someone to represent me even though I was out of the country at the time. I battled with Senator Olaka Worgu for over two years for the Senate seat. We had three elections, we got up to the Court of Appeal twice and we are still in the Federal High court today as I write. I greeted Olaka whenever we met in the court and even the Judges commented on it. I attended a ceremony in his house at the height of the contest. Senator Worgu knows that I gave him a worthy contest but that did not change me. In 2011, I was secretary to the Government of Rivers State when we hosted the then CPC candidate now President Muhammadu Buhari at a PDP Government House. Indeed I personally paid for the venue of the CPC rally at the time, because it was understood that as our former Head of State who had contributed so much to the country he deserved no less. We could do that without leaving the PDP. After the K-leg saga we invited former President Obasanjo to Port -Harcourt and it was hailed as a sign of maturity in politics. Several ministers and other high ranking officials of this present administration who are members of the APC including the Vice President have met and interacted with Governor Wike without being accused of leaving the party or wanting to leave the party. Why should that of Rivers state members of the National Assembly be any different? When it was time to battle Governor Wike, who were those in the in forefront? And whom are those talking now? When the time will come to confront the governor who are the members of the APC that will not just stand, but stand out? When we wrestled with the Jonathan Government who were those in the fore front? I will not leave the APC even in the face of needless provocation and unwarranted bitterness. As I told the state chairman of the party last Sunday, every member of the party knows the cause and the reason for the present crisis in the APC in Rivers state and I will also state it here. 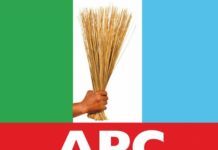 We all can recall that the Rivers APC was in relative peace and harmony until March 4 this year, when the Hon. Minister of Transportation and our former governor called a meeting of all leaders of our great party at the Dome on Odili Road in Port Harcourt. In that meeting, the Hon. Minister made several shocking pronouncements that area the root of our present crisis. 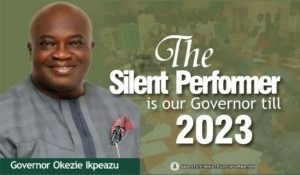 The Hon Minister of Transportation publicly declared that Senator Magnus Abe and Dr. Dakuku Peterside were both running for governor, and that he had ordered both of them to stop. He said Dr. Dakuku Peterside had stopped and Senator Abe had not, and that anyone supporting Senator Abe should leave the party immediately. He went on to name party leaders sympathetic to Abe and declared that they must leave the party. The Minister of Transportation declared at that meeting that anyone who failed to show absolute loyalty to him personally should receive no benefit or recognition from the party whatsoever, including contracts and patronage. 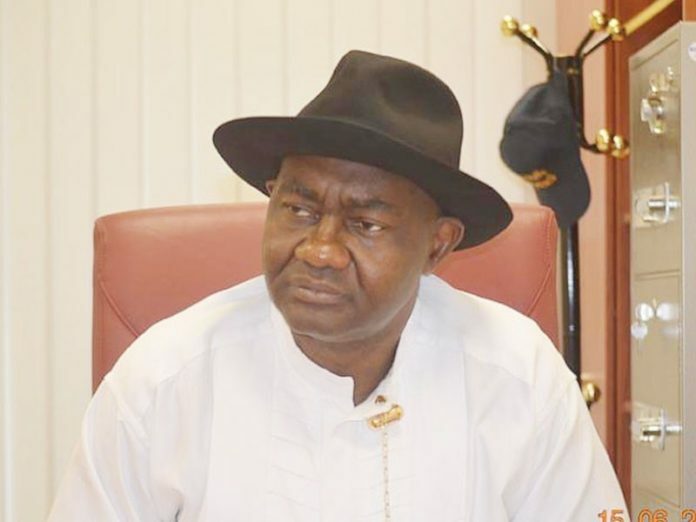 He also declared that any party officer who associates with Senator Abe or those relating with him should consider themselves out of office and out of the party. 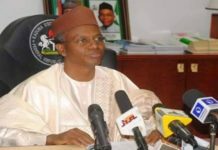 He concluded that if the party stakeholders refused to heed to his decree, he would destroy the party and rebuild it in his own image. It was after that meeting that the minister started to openly remove those he perceived as friends of Senator Abe as leaders of LGA caucuses in an embarrassing fashion. Ever since then, every action within the party has been calculated to implode the party and cause untold bitterness amongst party members in the state in order to enforce those directives. 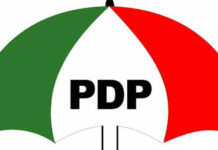 All the party stalwarts and members, including members of the ward, LGA and state executives of the party who have advocated for openness, fairness, and internal democracy within the party have been insulted, haunted, blackmailed, victimised and branded “betrayers” in an unprecedented demonisation. As I speak, party officials considered friendly to Senator Abe are no longer allowed to function in their offices within the party. Everything has been done to silence the voices of members of the party who think that the party should be run differently. These people are segregated against, not invited for meetings and deliberately shut out of the affairs of the party. These are the issues confronting Rivers APC, not that Senator Abe and his supporters have left or are leaving the party. That is clearly false; yet, it has been mischievously bandied at the highest levels of the party as blackmail to justify the unjustifiable. We cannot stop Governor Wike from playing his own politics as an opposition governor but what is important for us in the APC and for the federal government led by President Buhari is to continue to vigorously pursue our commitment not just to the clean-up of Ogoni land and the Niger Delta, but to keep faith with our country men that in our time there will be justice for all, no matter the cost.